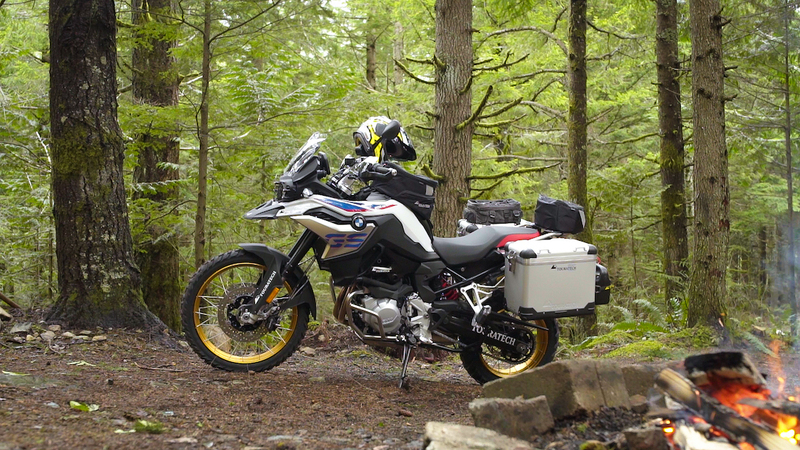 The latest offering in the middle-weight class of adventure touring motorcycles is the BMW F850GS and the Touratech Team is excited about the upgrades BMW to made to this 21” front-wheel parallel-twin, adventure machine. More power, ride modes that optimize performance in different terrain, much better suspension and a modern electronics package are just a few of the improvements that riders will enjoy. The F850GS is an ideal platform for riders seeking motorcycle adventures. 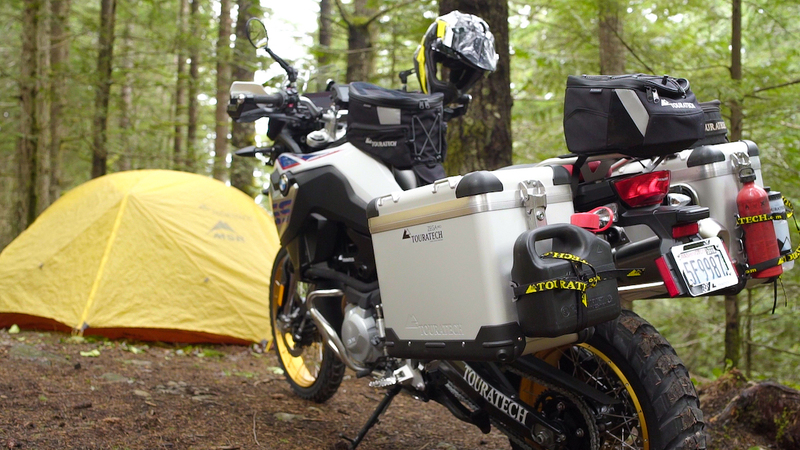 Touratech has produced a range of accessories to improve ergonomics, protect the motorcycle, and to carry gear for a weekend tour, backcountry adventures, or the trip of a lifetime. 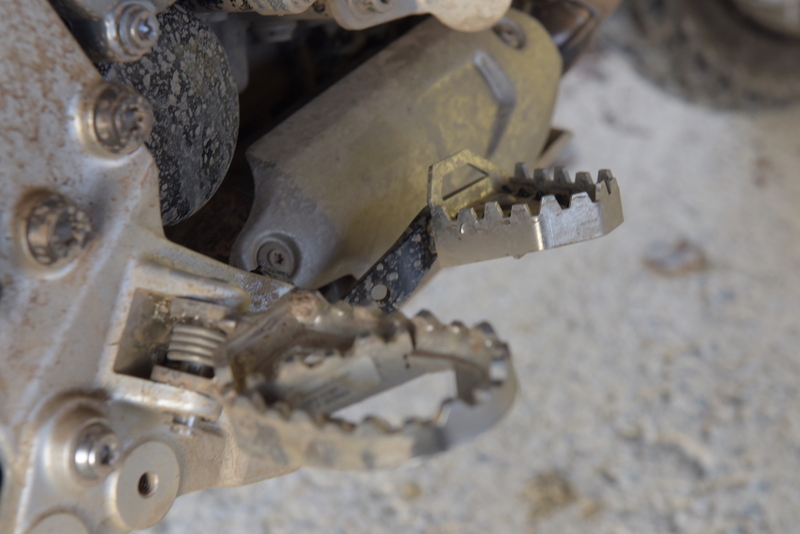 Below are a few highlights from Touratech’s range for the all-new BMW F850GS. The F850GS is a great choice for commuting to work, riding a Backcountry Discovery Route, or traveling the world. The first thing riders will need to add is secure storage, whether it be for parking in the city or exploring the backcountry. Zega Pro panniers provide water-proof storage with the security of keyed locks and protection that only hard luggage can provide. The solid aluminum construction allows use of a range of bolt on accessories to extend the capacity and utility of the boxes. You can quickly remove the cases from the bike to create a table for cooking at camp and for a place to sit around the campfire recounting the day’s adventures with your riding buddies. The 270 degree firing order of this parallel twin generates a deep growl when riders twist the throttle. Protecting this powerplant with an Expedition Skidplate is a great way to keep the good sounds coming out of this engine. 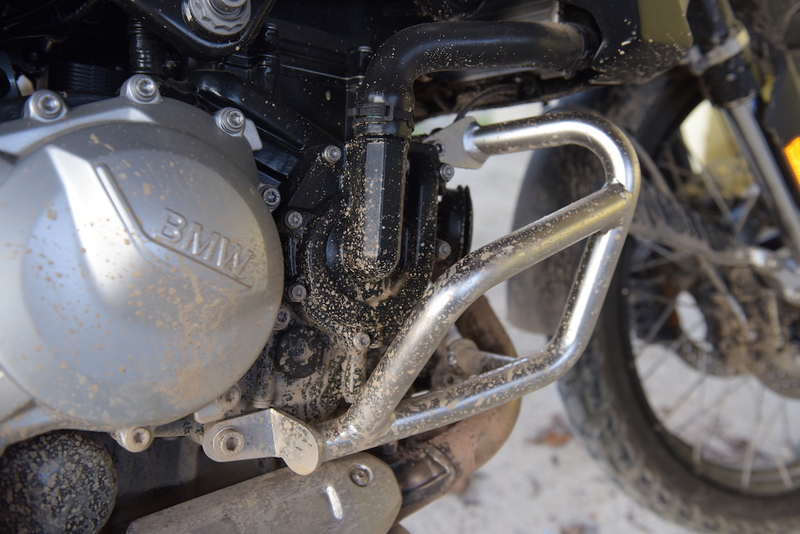 The F850GS doesn’t have a full, tubular frame under the motor to protect it from impacts, so the two-levels of protection provided by the Expedition Skid Plate should be a top priority. Engine repair is expensive and even more engine protection is provided by Touratech lower crash bars. While the bars are primarily designed to protect the water-pump and engine cases, they are flared out at the top to provide protection to the radiators. The right and left-side crash bars are connected across the front of the engine to create a completely protective structure. Available in Silver and Black. A spirited ride with your friends can be a lot of fun until the lights go out. Don’t let a rock to the headlight ruin your fun. 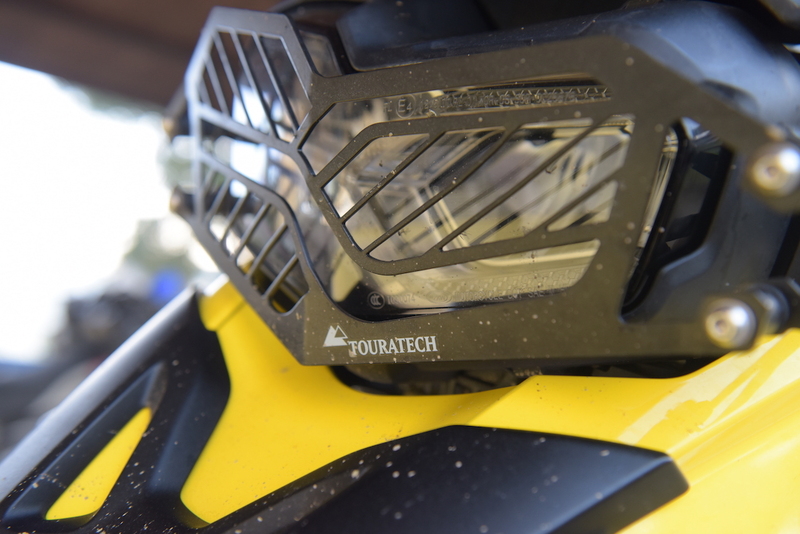 Add a Touratech headlight guard that is designed to protect the glass but also accent the distinct styling of the front LED. Riders can quickly remove the guard to wipe the dust of the glass and snap it back into place without even taking off riding gloves. Available in clear Polycarbonate plastic or black powder-coated stainless steel. 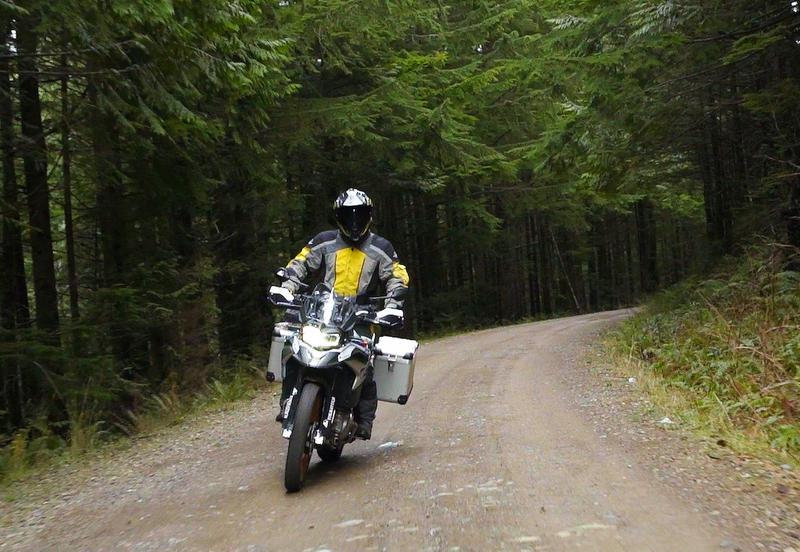 The F850GS loves to lure riders off pavement onto dirt roads and brushy trails. When the road gets good, it often has branches or foliage that tend to grab OEM mirrors. 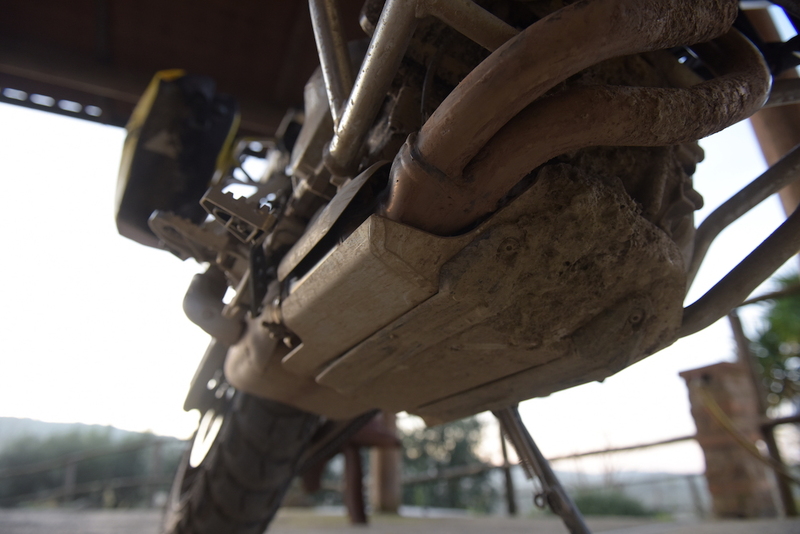 The Touratech mirrors can be folded in on the fly to eliminate the problem. Once back to the highway, the rider can quickly fold them back out and they are still adjusted properly. They also hold position at highway speeds all day long. This is the perfect mirror for adventure riding and is available for the F850GS and nearly every other model of motorcycle. The F850GS is at home in the dirt and on rough terrain. Many riders find that increasing the bar height is helpful for riding in a standing position off-road. 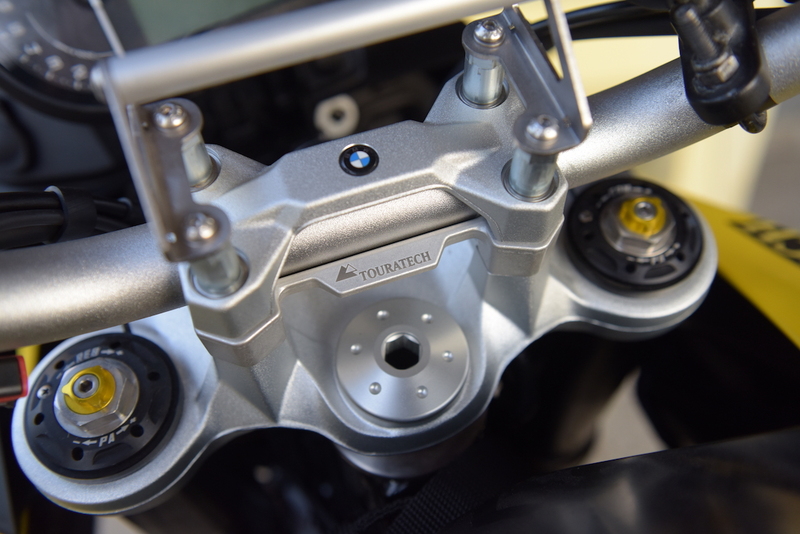 The engineers at Touratech have created a bridged bar riser to increase bar height while minimizing flex or twisting of the bars which gives riders more precise control of the bike. It’s hard to beat the convenience of a tank bag for quick access to your essential items like phone chargers, sunglasses, pocketknife, headlamp, and more. The low profile shape of this tank bag provides room for the rider to stand up which is great for riding. The bottom is shaped to exactly fit the contours of the F850GS tank and with stiffeners on the side the bag is very stationary even on a wild ride. The removable map case on top has a clear window allowing visibility of a map or who is calling your phone. 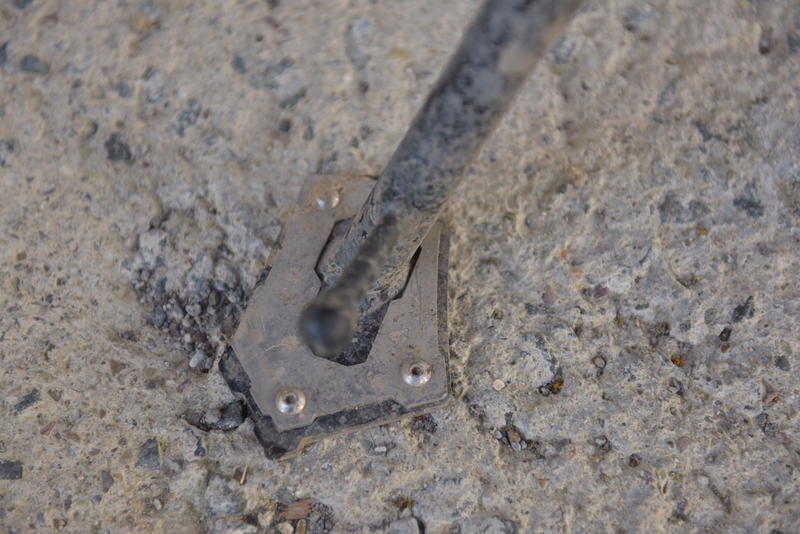 The stock brake pedal tip is a pretty small target for riders trying to find the rear brake. 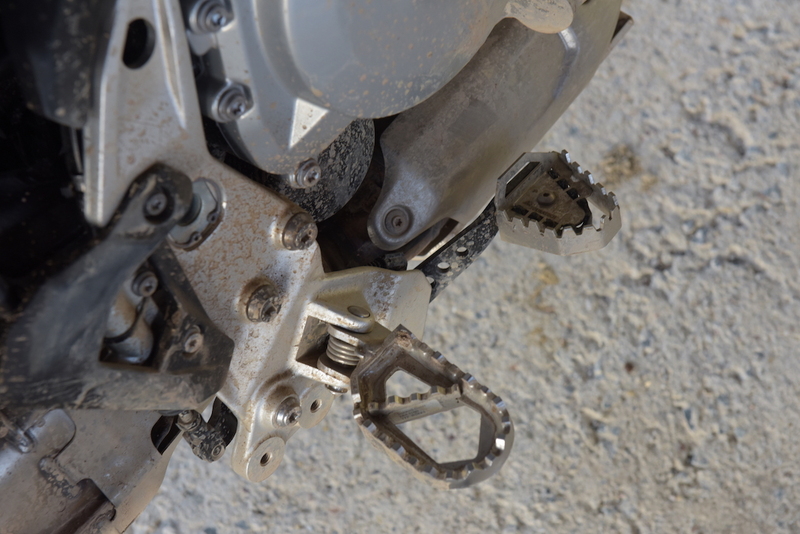 Touratech makes it easier to modulate the rear brake with a larger tip that bolts right onto the stock pedal dramatically increasing the surface area. During the recent press launch for this bike the group of journalists parked in the woods for a quick-lunch and one of the F850GS models tipped over as the stock side-stand plunged into the soft ground. For riders venturing off-road, this wide side-stand is a required upgrade to prevent this bike from taking a dirt nap. Many people find the rear brake pedal on this bike is hard to reach while standing. The low version of the Works Footpegs make it easier to reach and modulate the brake pedal and also provide more rider comfort with more distance from the seat to the pegs which reduces knee bend. It also makes the transition from sitting to standing easier for the rider and provides a feeling of lower center of gravity for the primary control point between rider and machine when standing and riding off-road. The pegs are tough stainless steel construction, have large openings to clear mud and are tapered to preserve lean angle. The wide platform is a huge upgrade over stock pegs. Available in standard height and 0.8” lower than stock. This converts the outdated BMW-style power plug to a double USB outlet for charging your phone, communication system, or other devices on the road. 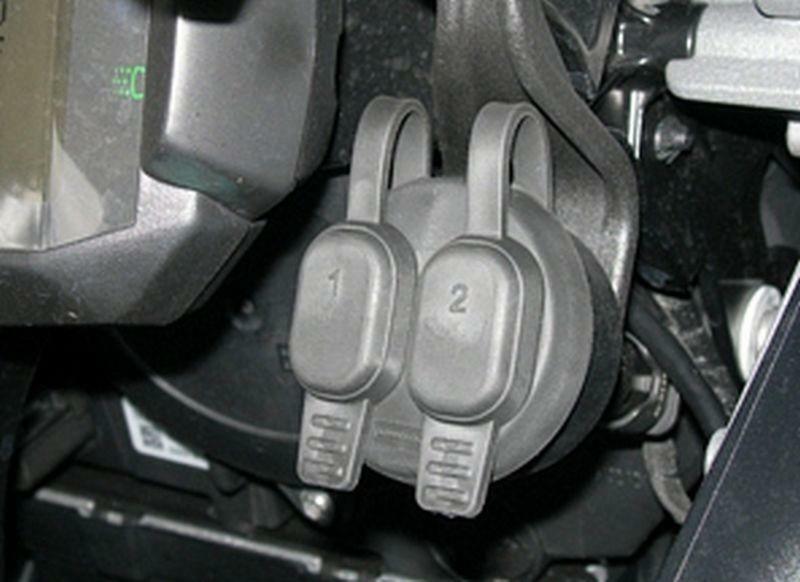 It replaces the original factory 12-volt “BMW size” DIN outlet on most modern BMW motorcycles. It even has a special connector that will plug straight into the factory wiring for easy installation. Cold air, precipitation, and rocks from your friends rear tire are all things you need to protect your hands from. 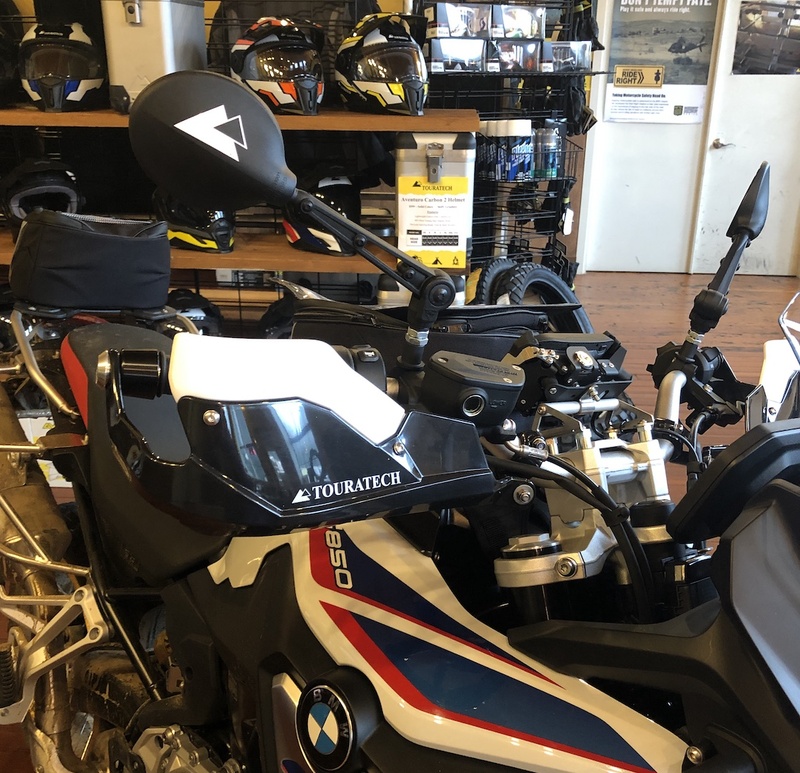 The Touratech spoilers for the EOM handguards on the BMW F850GS are a great way to extend the protection coverage for your hands. They come with all the hardware and are easy to install. The F850GS has a Dynamic Rear Shock that integrates with the ride modes and for the first time on a middle-weight bike, includes electronic adjustment of the preload on the rear spring. 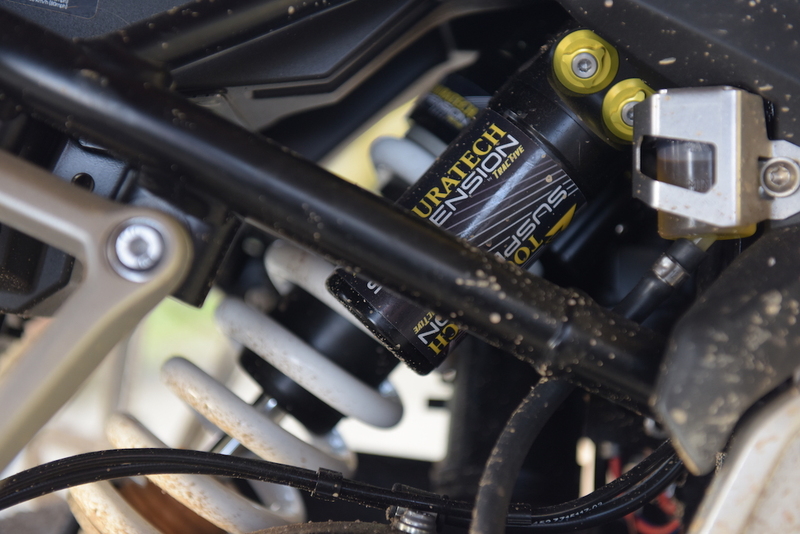 The Touratech Plug-and-Travel suspension integrates perfectly with BMW’s ESA system and guarantees full functionality of the adjustment system while dramatically increasing the overall suspension performance. Custom spring rates are selected to allow heavier or lighter riders to use the full range of the available ESA settings. Optimized damping profiles give the bike a more plush ride than stock or an even sportier feel at the press of a button. Progressive fork springs offer a big improvement to the ride for a relatively modest investment. They allow the ride to be more plush and comfortable at low speeds then get progressively more stiff as the rider pushes the bike in corners or off-road. In addition to improving the handling of the F850GS you can also get your feet closer to the ground with lowering spring kits from Touratech Suspension. Available in fork spring kits and fork & shock spring kits. Kits include application specific fork oil designed to optimize performance.